Late November to end December is a wonderful time to visit Bermuda when so many cool activities are scheduled in the island which you can never experience otherwise. The average air temperature during hovers around 66.5ºF and the sea temperature around 67.5ºF, humidity around 70%. So weather remains pleasant. 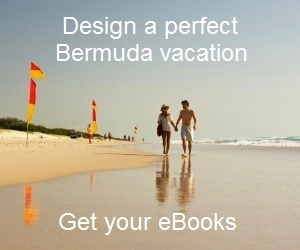 Although it may not be ideal to swim during this time, all public beaches in Bermuda remain open, and lounging on the sand to enjoy the sun can be a great experience. Hotel rates touch the lowest during this period and special packages are offered. 1) The Tree Lighting Ceremony held in Hamilton City actually marks the beginning of the Christmas season in Bermuda. This is the event during which Santa Claus makes his first appearance of the year. The event is held next to the City Hall & Art Center where a tree is illuminated at around 5:30pm. Following this Santa Claus interacts with kids. Choirs and various bands of the island perform. 2) Santa Claus Parade is next held at Hamilton. The streets of Hamilton city get lined up with hundreds of visitors and islanders who watch the parade performed by bands and many dance groups including Gombeys. Many colorful floats with their own themes also take part in the parade. 3) An annual Family Christmas Evening is held at Carter House usually in late November or early December. Carter House is an 18th century small house & one of Bermuda's oldest and located in St. David's. It's now a museum. Both Carter House and replica of an early settlers dwelling on the grounds are decorated in period style. Those days Christmas tree was not available. The houses are decorated with cedar, palmetto, magnolia leaves, fruits, foliages etc. Fire is lit up at the fireplace and candles are lit to add to the Christmas charm & ambience. Local food & beverages like Bermuda fish chowder, ginger bread, cookies, mulled wine are served. Then children have a fun time as Santa appears with a sack full of gifts. The event is free to all, donation accepted. 4) Christmas Walkabout organized by Bermuda National Trust in St. George is a highly popular event. The walk passes by several old traditional homes that are decorated for the special occasion, and this is accompanied by live music and performances. Special shopping deals are also offered. 5) Another spectacular event which is well attended by tourists is the Christmas Boat Parade held biennially at the Hamilton Harbor. Number of boats sponsored by different organizations and glamorously decorated with lights and other decorative materials bearing individual themes parade in a circular route on Hamilton harbor. Thousands watch the boat parade from shore and also from harbor-side hotels. 6) Christmas Eve (December 24) services are offered in various churches across the island. One of the special experience is to join the traditional service of lessons and carol singing in St. Peter's Church with Their Majesties Choristers. 7) Large number of expatriates living in the island as well as visitors flock to Elbow Beach on the morning of December 25th to enjoy and celebrate Christmas on one of the best beaches of the island. The celebration is accompanied with music, food and wine. 8) Boxing Day is celebrated in the island on December 26th. While this is a public holiday and most shops & establishments remain closed, it's a great day to watch the colorful Gombeys' Troupes perform. They dance down several main streets of the island on this day. Kings Square - the town center of St. George is one of the best places in the island to spend the night of December 31 and welcome the new year. The town corporation usually organizes live band & entertainment at the square. This is followed by fireworks and onion dropping (a huge illuminated onion like structure is lowered at Town Hall) to celebrate Bermuda's onion tradition. Food and drinks are on sale at the square. The event usually starts at 8:30pm. How to find the schedule of events? You can scan through this page on Events & Festivals to find the current year's schedule. NOTE: Various other adhoc Christmas events take place at different parts of the island including in Royal Naval Dockyard. Visit one of the Visitors Information Centers in the island in Dockyard, Hamilton or St. George to get to know of such events, their schedules and collect the flyers.